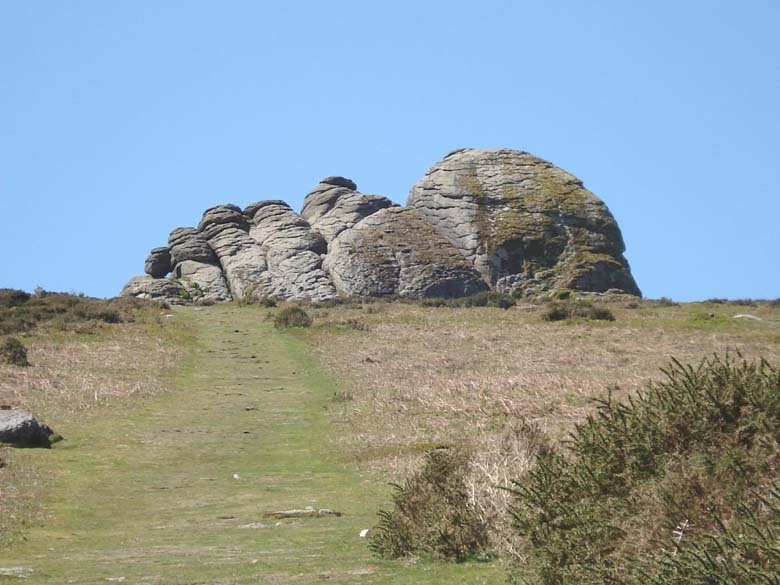 This page hardly describes a walk - it was just a wander from a car park up to Haytor and back, accompanying someone less able. 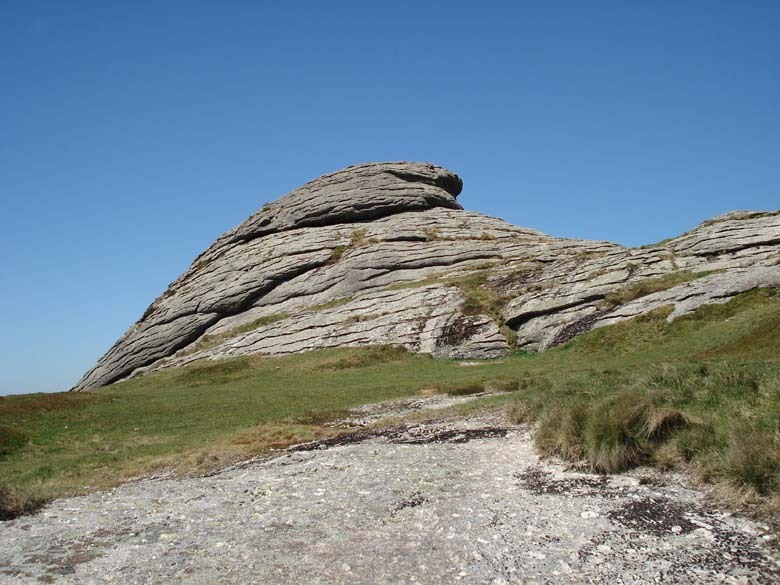 It is a typical tourist jaunt. 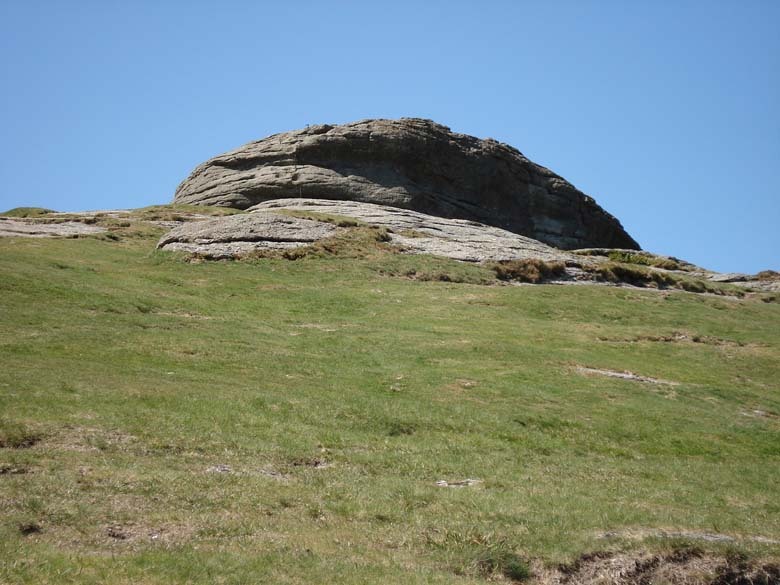 Of course, I had to go back up the hill again with my compass just to take some bearings to identify some far distant tors etc. 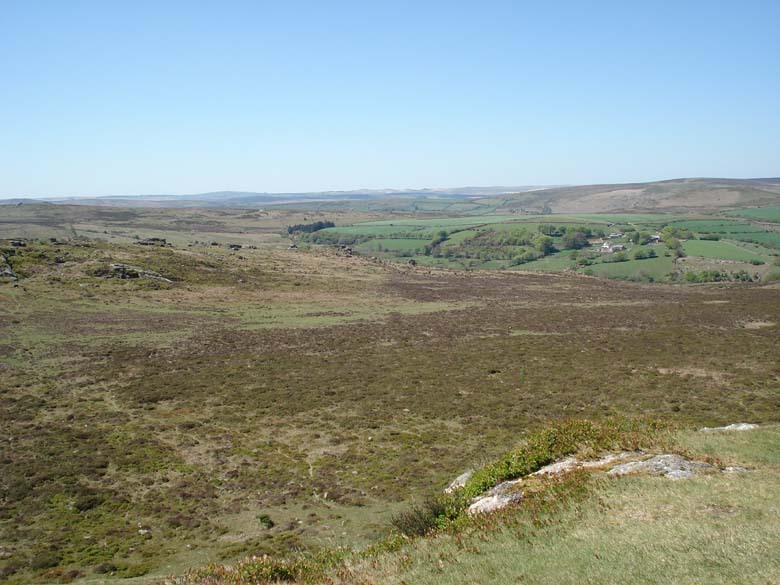 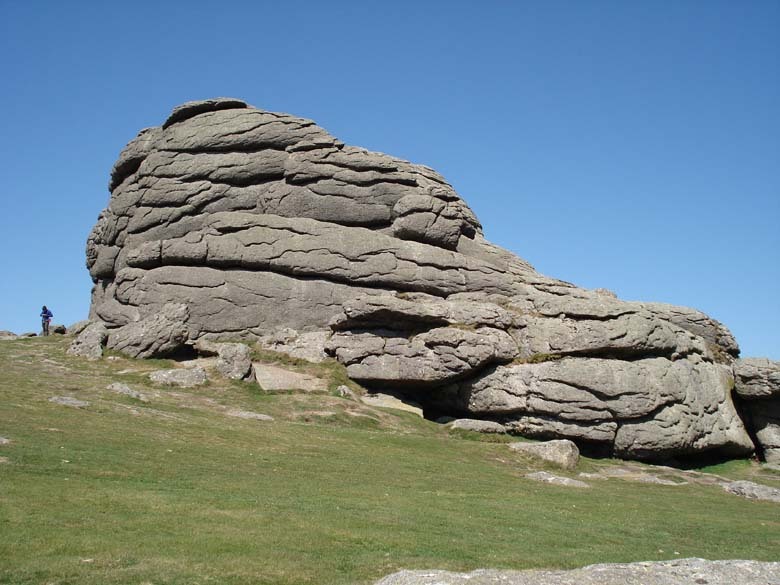 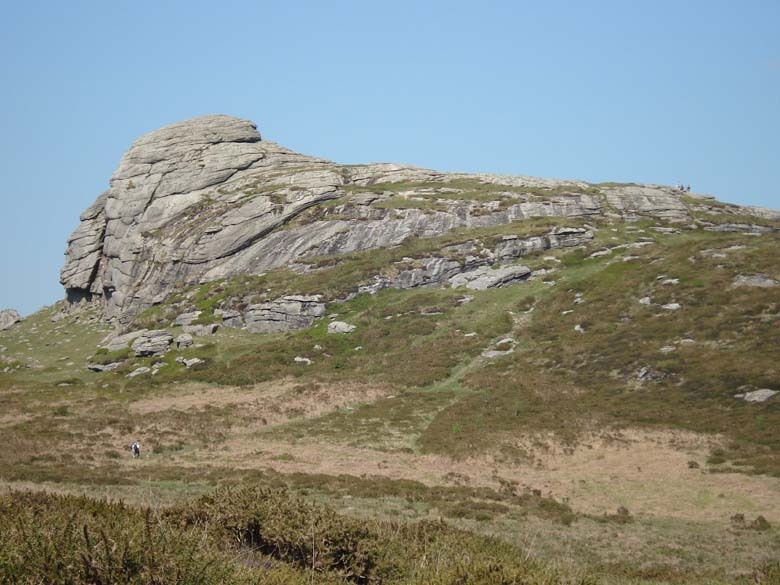 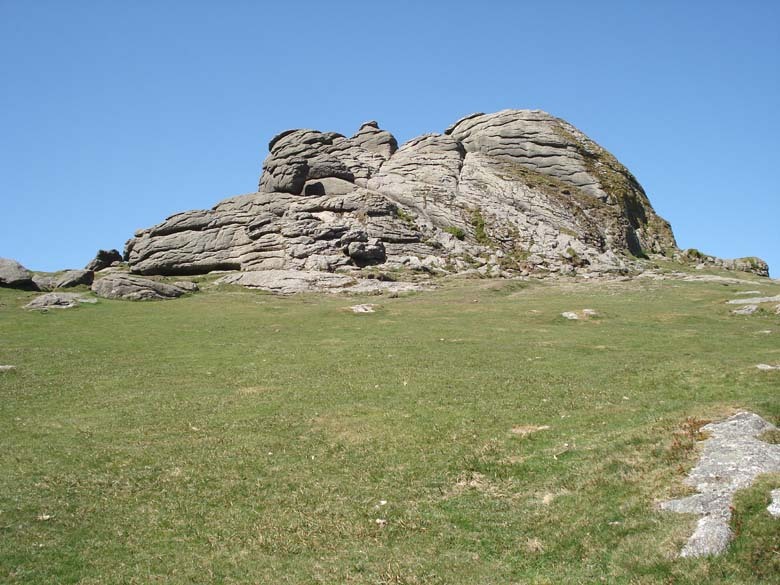 This walk: 2007-5-2 - Haytor and nearby Saddle Tor (from another car park). 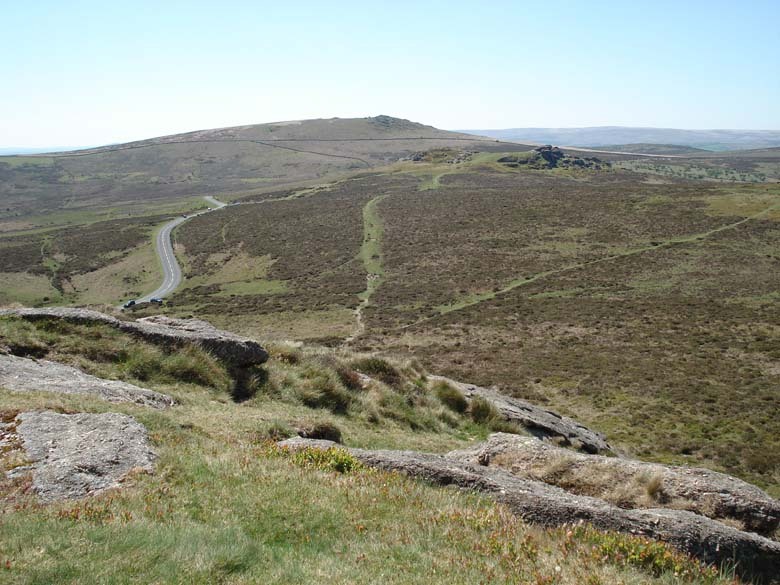 View almost westwards (but a little south of west) towards the TV mast (left arrow) on North Hessary Tor. 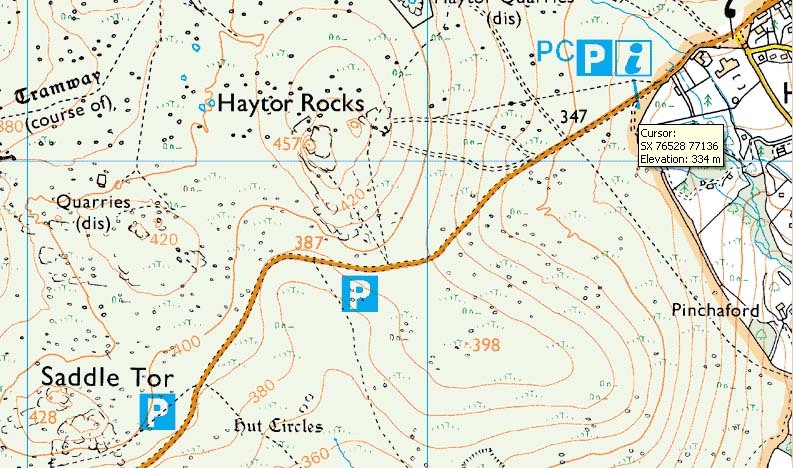 This is shown in more detail on the stereo version of this page, where the tors northwards to Great Mist Tor are identified - following last week's excellent map and compass course at Compassworks! 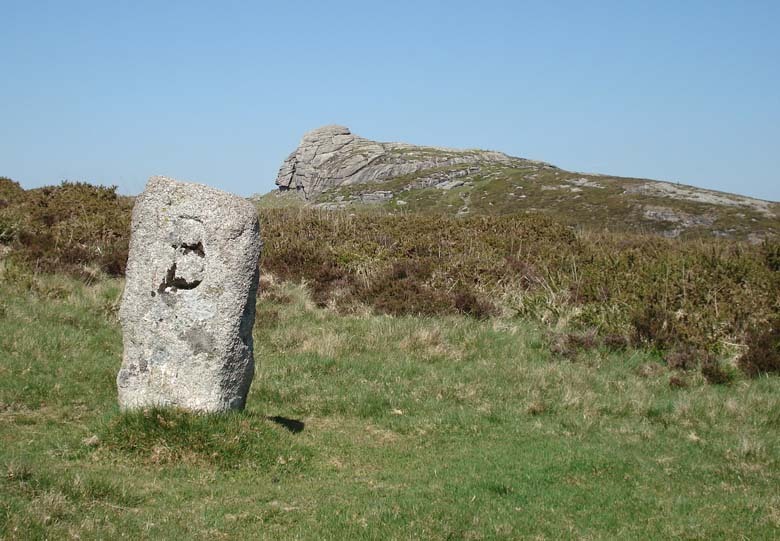 Boundary stone, presumably B = "Buckland in the Moor CP" as marked on the map (CP = Civil Parish). 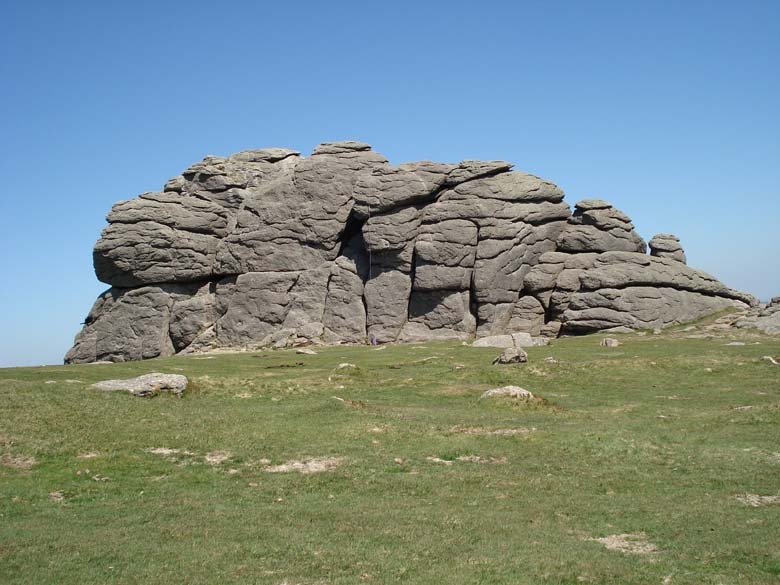 On the other side of the stone there was an "I" (= Ilsington Parish). 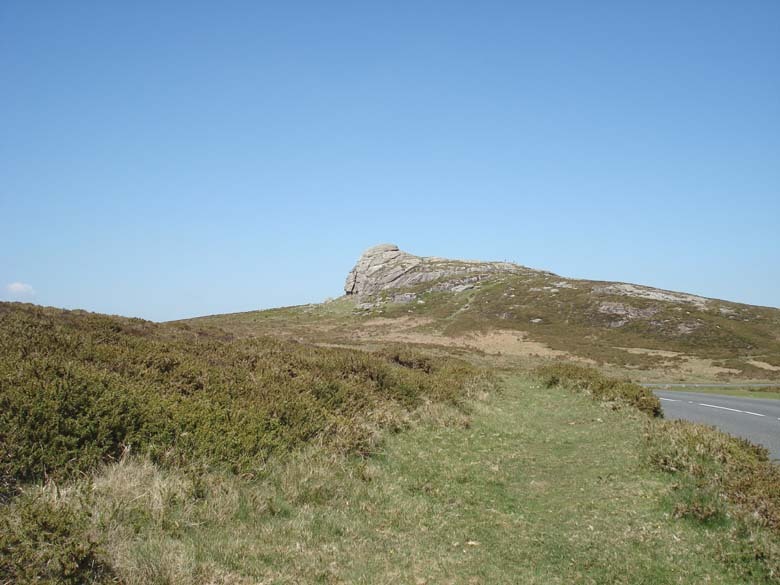 The roads via Ashburton, following signs to Haytor, were easily driven. 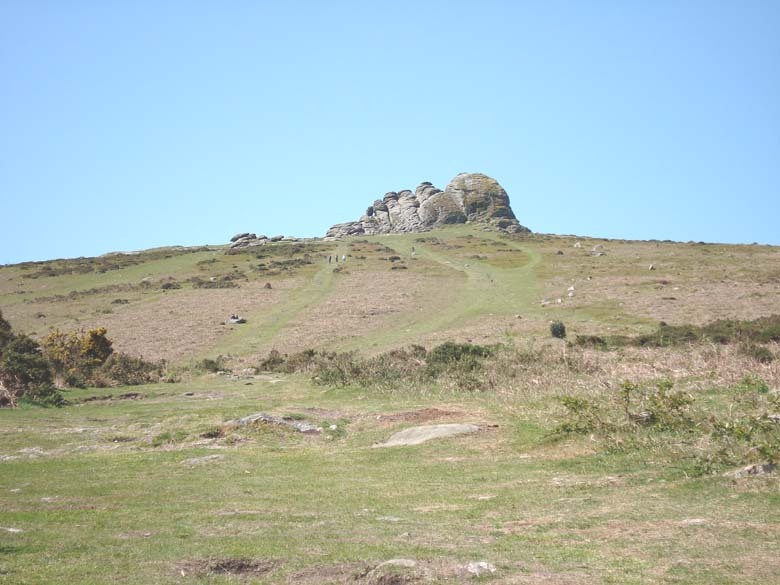 The car park at SX 76528 77136 is complete with an information kiosk and toilets. 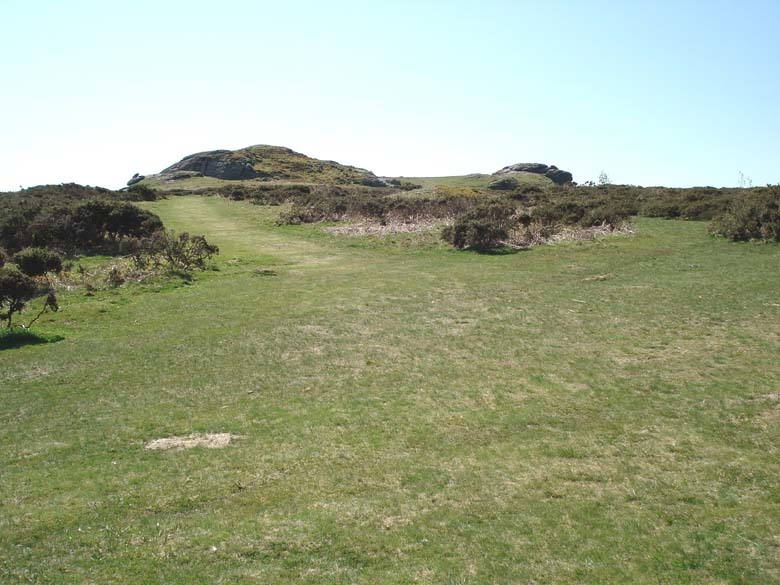 The route from the toilets car park is 625 meters / 680 yards and climbs 280 feet. 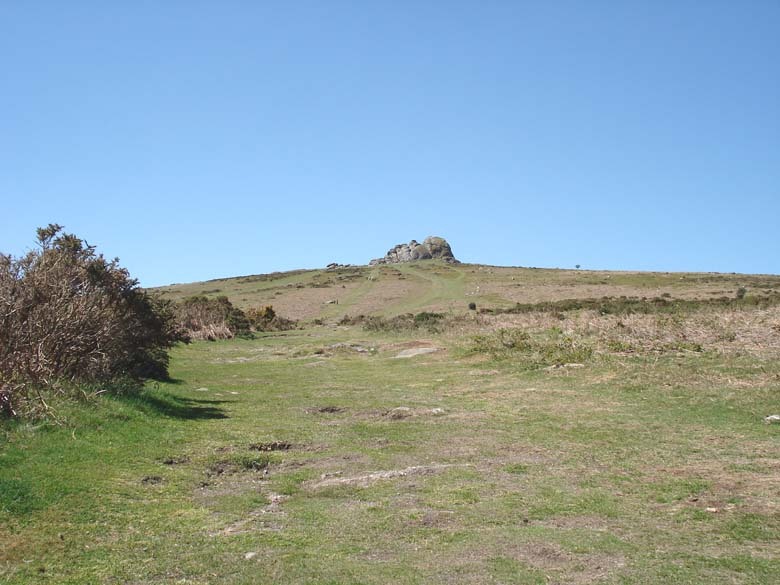 The path from the car park immediately south of Haytor is 318 meters / 347 yards and climbs 101 feet - much easier for those who are not so fit.